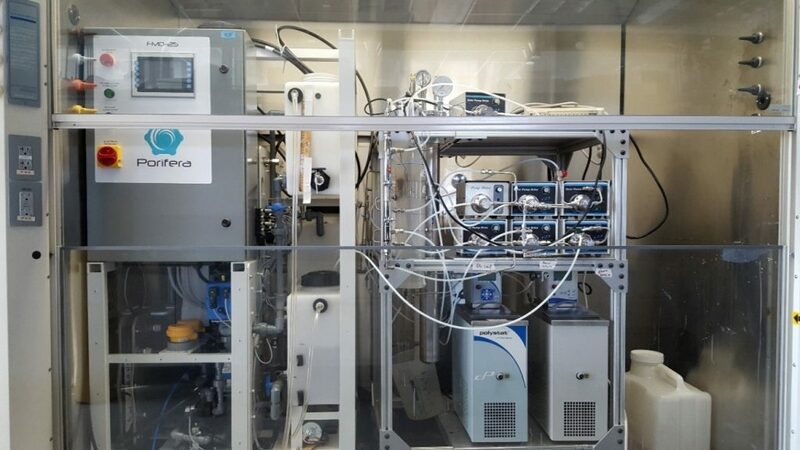 Description Idaho National Laboratory has the capacity to test forward osmosis (FO) membranes, reverse osmosis (RO) membranes, nano-filtration (NF) membranes, novel draw solutes, and the associated processes across a range of conditions and scales. 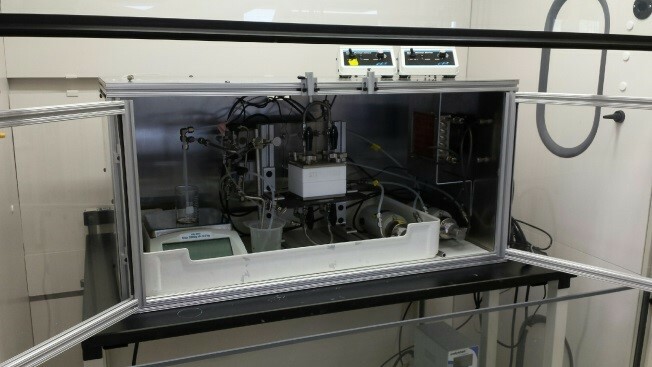 Our existing FO test systems include those designed for early-stage experimental work by minimizing the volumes of feed solution and draw solutions as well as the area of membrane (coupons) but still maintaining tight control over temperature, pressure, and flow rates for studies involving grams of water per hour. Moving up in scale we have a number of large system optimized for various aspect of FO process studies including a SCADA controlled fully integrated system featuring industrial scale modules that can operate at water fluxes between 0.5-50 gallons per hour. We have a variety of draw solute regeneration system for both thermal draw solutes and pressure driven RO and NF regeneration (both bulk and trace removal of draw solutes). Our RO/NF systems again range from the coupon to module scale and can be temperature controlled and can also be used for direct separation with using RO or NF. Limitations We have no limitations to disclose. Unique aspects Idaho National Laboratory’s Forward Osmosis and Reverse Osmosis Process Testing capabilities are unique in the national laboratory system in its breadth and variety of instrumentation. 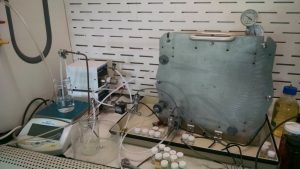 The FOROPT researchers have broad expertise in utilizing the unique instrumentation in the areas of membrane based water treatment. Availability Forward Osmosis and Reverse Osmosis Process Testing is a capability within Idaho National Laboratory’s Biological and Chemical Processing group and is available to a resource both within INL and to collaborators from outside organizations. Orme, Christopher J., and Aaron D. Wilson. “1-Cyclohexylpiperidine as a Thermolytic Draw Solute for Osmotically Driven Membrane Processes.” Desalination 371 (September 1, 2015): 126–33. https://doi.org/10.1016/j.desal.2015.05.024. Adhikari, Birendra, Michael G. Jones, Christopher J. Orme, Daniel S. Wendt, and Aaron D. Wilson. “Compatibility Study of Nanofiltration and Reverse Osmosis Membranes with 1-Cyclohexylpiperidenium Bicarbonate Solutions.” Journal of Membrane Science 527 (April 1, 2017): 228–35. https://doi.org/10.1016/j.memsci.2016.12.017.